One person can change the future of seven billion. In the fall of 2011, world population surpassed 7 billion and as a citizen of the earth, it’s important to understand how we reached this milestone, analyze the impact of our choices, and realize that our decisions can and will impact the future. Population Education has created this World of 7 Billion website to bring these ideas alive in the classroom. Teachers and students alike can benefit from the resources found here. 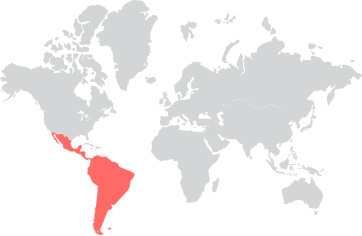 Latin America’s 611,122,000 people make up 8.5% of the world’s population. Global population challenges are real. Make a video to share your solution. Win cash prizes by creating a short video on a global challenge impacted by population growth. All middle and high school students are eligible to enter. Information on the 2017 contest is available now. Use the free lesson plans in your classroom, explore the ‘Quick Trip to 7 Billion’ wall chart, or assign the video contest to your class.